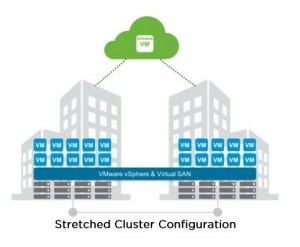 The purpose of this document is to explain how to size bandwidth requirements for Virtual SAN in Stretched Cluster configurations. This document only covers the Virtual SAN network bandwidth requirements. In Stretched Cluster configurations, two data fault domains have one or more hosts, and the third fault domain contains a witness host or witness appliance. In this document each data fault domain will be referred to as a site. 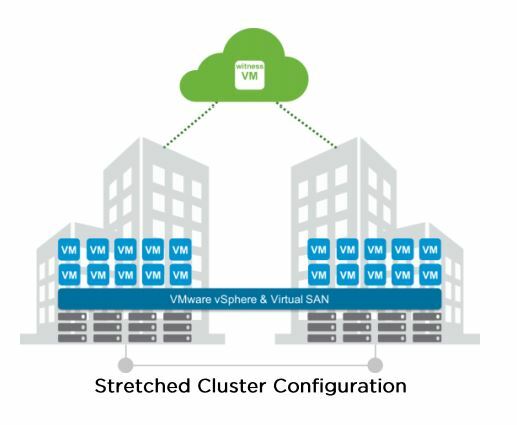 Virtual SAN Stretched Cluster configurations can be spread across distances, provided bandwidth and latency requirements are met. The bandwidth requirement between the main sites is highly dependant on the workload to be run on Virtual SAN, amount of data, and handling and failure scenarios.